We are developing training for students who might need to employ a Workplace Personal Assistant when they graduate. We are seeking to recruit 3 advisors , who are current students or recent graduates of Sheffield Hallam University or the University of Sheffield , to help us develop the training. You will receive a one off £150 payment when the work is complete. The deadline for applications is Wednesday 13th February. 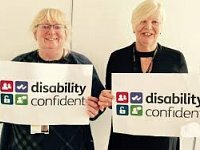 The Department for Work and Pensions is hosting an event on Friday 8th February (09:30 – 12:30) at Burton St Foundation to encourage local employers to become more Disability Confident and make the most of the talents disabled people can bring to the workplace. Could you be a Host for England Netball? England Netball are looking to expand their sessions for Walking Netball across the country and want to train up more people to deliver these sessions in South Yorkshire.The next training session for ‘hosts’ is on 24th February from 10am-4pm at the XP academy in Doncaster . Are you an Expert by Experience (Service User, Person with Experience of Services)? 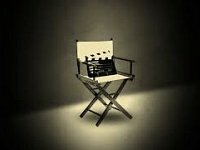 Have you, or your group, made a short film about what it’s like to have social care or other services?Then you might be just the person/people South Yorkshire Teaching Partnership is looking for to have your film join the feast of films to be screened at their Film Festival on Friday 22nd February. Walking for Purpose will be launching its 6th block of walks on October 8th, delivering the project in Burngreave and Woodhouse. 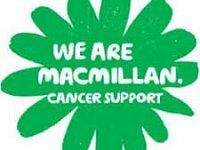 Walking for Purpose offers jobseekers the opportunity to gain valuable skills and training that employers want, whilst being active with a gentle walk. Do you employ your own Personal Assistants or Carers but want more skills and knowledge to boost your confidence as an employer? Or are you looking to hire them but don’t know where to start? Then our free courses are for you! Our training on ‘Being a Good Employer’ for individual employers is split into three modules. You can attend all three or any you feel necessary for yourself. The first module on Advertising and Recruiting takes place on Monday 24 September. Are you currently employed as a Personal Assistant for an adult over the age of 18 and feel you could benefit from further training? Do you employ your own Personal Assistants and want to further their skills and knowledge, as well as your own? 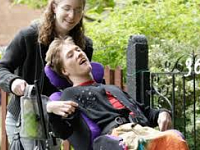 If so, Disability Sheffield are running a number of FREE courses for existing and aspiring Personal Assistants in partnership with Skills for Care and Sheffield City Council. 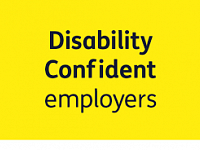 DisabledGo is inviting you to their Work Experience Day in Sheffield on Wednesday 20th June from 11-3 at the Circle on Wednesday 20th June. These courses are aimed at people working with others at the front line in communities either paid or as volunteers and include breakfast, lunch and refreshments.